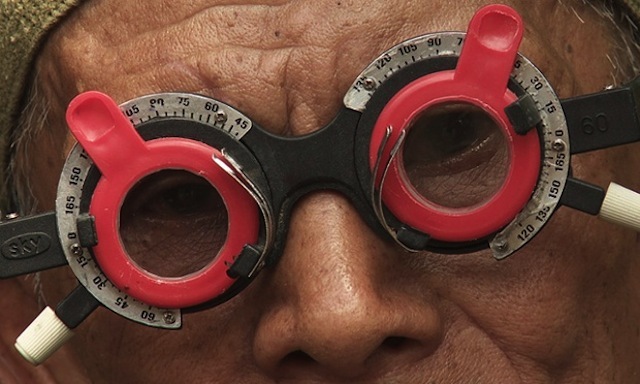 Recently Joshua Oppenheimer and I sat down and discussed his two movies, “The Act of Killing” and “The Look of Silence” in relationship to the current phenomenon of true crime stories – “Serial” on NPR, “The Jinx” on HBO and “Making a Murderer” on Netflix. It occurred to me that Joshua and I are also part of this movement. Myself, because of “The Thin Blue Line,” now made almost 25 years ago. These are stories of independent journalists — journalists not affiliated with any news organization – who sought to address a miscarriage of justice, much like Zola did for the Dreyfus Affair in “J’Accuse,” his open letter to the President of France in 1898. And Joshua Oppenheimer in his efforts to examine a genocide from over 50 years ago. Didn’t Thomas Jefferson tell Lafayette in a letter from 1823 that “The force of public opinion cannot be resisted when permitted freely to be expressed”? EM: There is a collection of Rebecca West’s essays, “A Train of Powder” — among other things, her coverage for The New Yorker of the Nuremberg Trials. So, “a train of powder” is a phrase that comes from a sermon by John Donne. JO: What was it referring to? She talks about the major defendants (Goering, Hess) and then she talks about defendants whom I was less familiar with, principally Walther Funk, Reich Minister of Economic Affairs. Did you know that Nuremberg courtroom was designed so that the Allies could project movies during the trial? And, also so that they could film the trial? The first movies that were shown were prepared by John Ford — a compilation of material from the liberation of Bergen-Belsen and Dachau. But here comes an interesting part. Did you know they lit (using fluorescent tubes) the defendants so they could be filmed watching the films that were shown during the trial? JO: That’s amazing. I didn’t know that. EM: Yes, there are these pictures of the defendants essentially watching their crimes. JO: And, interestingly, crimes that (given the high rank of the defendants), they had ample ways of imagining they had nothing really to do with — a kind of self-deception of the defendant. It’s a segue into what we’re talking about. There is a parallel to what I was doing in “The Act of Killing” with Anwar watching scenes, and certainly, what Adi — although I’m not projecting the footage for the perpetrators in “The Look of Silence,” Adi comes and confronts them not with firsthand knowledge of what they’ve done, but with having seen the footage of them. So, Adi becomes a little bit like the screen or the mirror in which they see themselves. It’s this form of confronting people with what they’ve done. There was this definition of justice that I heard not long ago. I think it’s Robert Nozick [a Havard philosopher, famous for his book “Anarchy, State and Utopia”]. Nozick defined revenge as delivering the message that you know what someone has done, and it doesn’t involve hurting them or doing anything to them beyond that. It’s just delivering the message that their crime has been noted not just by its victims, because the victim might be dead, but by another who has a different moral view and will challenge the perpetrator’s view. Simply coming to the perpetrator and delivering the message is Nozick’s definition of revenge. And in that sense, Adi is exacting revenge. When people ask, “Does Adi want revenge?” — they mean violent revenge. But in Nozick’s formulation, it is revenge. That is the essence of revenge. EM: The other thing that I wanted to write about but I hadn’t ever really explicitly talked to you about this. They write now, everybody is writing about “Making a Murderer.” That’s the cause célèbre of the moment. JO: I haven’t seen it. EM: I would love to talk to you about it. It crosses so much known territory for me in many, many, many ways. It actually relates to you too, and this is something that we could talk about with profit. Basically, “Making a Murderer” chronicles a set of crimes committed in Wisconsin: Manitowoc, Wisconsin. The first crime is a miscarriage of justice. Steven Avery is convicted and sentenced to a very, very long prison sentence for the assault on a woman. And it comes to light through DNA evidence that he was not the assailant. It was someone else who was serving time in prison, subsequently serving time in prison for a similar kind of violent crime. The police actually even knew that there was this exonerating material and they kept it secret. So, he gets out and he files a lawsuit against the authorities. He becomes this famous guy who has been wrongfully convicted, et cetera. And within a couple of years he has been indicted for another murder. The bulk of “Making a Murderer” concerns this second crime that ultimately leads to two convictions — his conviction and the conviction of his nephew. JO: Did he commit the second crime? EM: We don’t know. 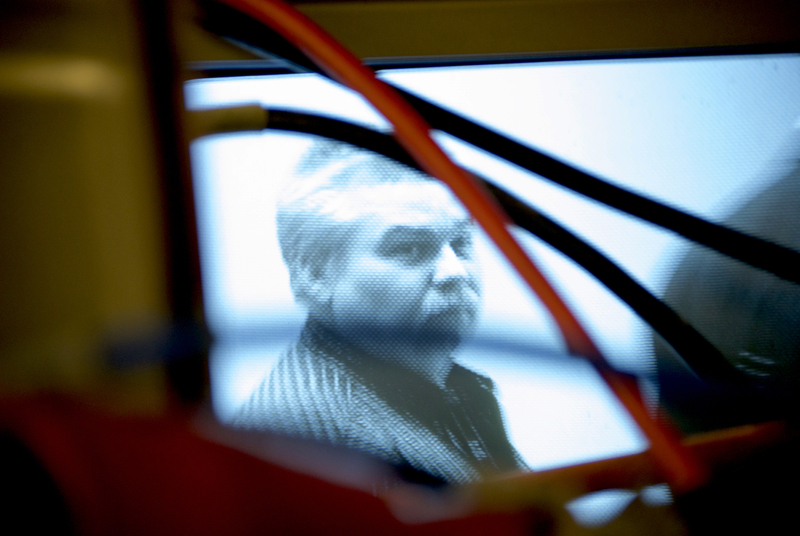 Ten hours of “Making a Murderer” and we don’t know. JO: And that’s the end of the series now? EM: Well, they’ve commissioned more. JO: There was always a question raised with both my films [“The Act of Killing” and “The Look of Silence”] — Will this lead to vigilante action or anger or violence in Indonesia? There is a certain kind of reading of the culture and an understanding of what you’re putting out there and how it’s likely to be received, which is a guess. I was definitely trying to make something that would be saying something other than, “These men have done something terrible and let’s go get them.” I was trying to say something deeper than that. 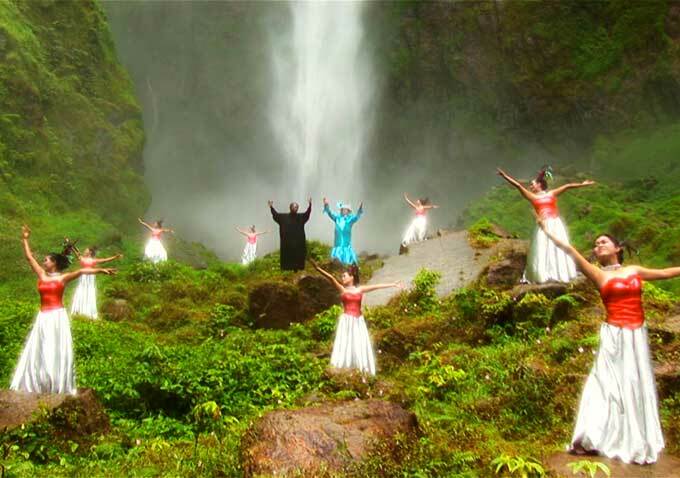 So, there is a question of how does the tone of the “Look of Silence” or even the more flamboyant tone of the longer cut of “The Act of Killing” (which is what has been seen in Indonesia), how does that bear within it some kind of moral imagination, which suggests that the answer to this is not just to go out and exact violent revenge? EM: There is another aspect to this, which I had never really thought about before, which makes your movie part of a general phenomenon with, say, “The Thin Blue Line,” or “The Jinx,” or “Making a Murderer,” et cetera, et cetera. True crime investigation, but not just true crime investigation. Investigation by an outsider, perhaps even an interloper. The investigator manqué. The investigator who shows up on the scene of the crime, who works in no official capacity, but who is nonetheless dedicated to a retelling, perhaps even a solution to the crime. JO: This is problematic in two very fundamental ways. First of all, when you have — and I just think of Indonesia, or most of the world where there is no meaningful rule of law, and when there is rule of law, the law is written to be unjust. EM: Or it is controlled by the State. JO: That’s the same as there not being independent rule of law. EM: Rules that are rigged, rules that are flouted, rules that are bent to serve the powers that be. I think it actually goes back to my childhood, if I ask myself, “Why does this theme of pretense resonate with me so intensely?” In my childhood there was divorce and there were blended families and it was difficult for me to talk about the problems I was going through because I felt the need to make everything easy and okay for everyone else. I was desperately trying to “fix” things that probably were not fixable. Having not really watched the contemporary true crime work, I don’t know whether they’re also obsessed with pointing out the lies that have been spun to justify and to obfuscate and to hide the moral outrage. But certainly, in “The Thin Blue Line” that’s what you do. EM: At a certain point I became convinced that Randall Adams was innocent. He was home in bed, as he had claimed. And when I started to believe that that was a very, very real possibility, that he was telling me the truth, I felt compelled to get him out. I didn’t feel compelled to get him out by baking a hacksaw in a layer cake or commissioning Wile E. Coyote and his beloved Acme Corporation to build a catapult for me to launch him out of prison. I knew that I had to come up with evidence that could be submitted to a court of law. It was appealing to two courts — a court of public opinion and a court of law. You were involved in something very, very, very similar. I think everybody who does this is involved in something very similar. And what did I do? I befriended the Dallas district attorney, who I liked. I genuinely love this man, even though he has been on the wrong side of everything. He is the Henry Wade of Roe v. Wade. He has been on the wrong side of every major social issue of the second half of the 20th century. So, I got access to his files because he liked me. JO: I wrestled with guilt around Anwar, whom I really liked and became very close with. I was outraged by what Anwar had done and could like him nevertheless. Anwar, nevertheless, has continued to like me, understanding what the film has done and understanding what the film has meant. EM: That’s a remarkable achievement on your part. JO: It actually is one of the things about the film that’s difficult to talk about that I’m proud of. I think Anwar was again and again showing me that he at some level is, at the very least, haunted by what he has done, traumatized by it. And he couldn’t talk about that normally, because even to talk about it with himself would make it difficult for him to live with himself. So, until he met me it was easier for him just to block it out. But as he showed me that he felt what he did was at the very least traumatizing – and possibly unspeakably wrong – I still saw him as a human being. After all, the fact that perpetrators are human was my starting point. Over time, even though people were warning him, “You shouldn’t participate in this film; it is undermining our whole public image and will make us look bad,” there was a way in which he continued because he was relieved by the fact that no matter what guilt he slowly confided in me, I still saw him as human. Because he is. Perhaps he needed the companionship of being accepted in all of his emotional brokenness. That is, he was relieved to be seen as a human being despite the fact that he could almost not live with himself as a human being. All I did was expose a lie, as opposed to the crime itself. Isn’t what a lot of the true crime work does is to expose, or try to expose, what really happened? EM: I would disagree. The most amazing sequences in “Look of Silence” are those moments — the family moments. Call it the quotidian moments. Those quiet moments where people who know each other are discovering something that was buried, hidden and extraordinarily powerful. Your films are investigative to be sure. EM: But we know he was involved. JO: We learn that he was involved. That comes out through the film. Adi didn’t know it, and I didn’t know it when we went in to shoot with him. Adi had promised when he was next in the village to visit his uncle and give him an eye test. And I had heard that his uncle was close to Ramli. They were close with each other. I tagged along to see what I could learn about Ramli, and it was a very — if it looks rougher than the other confrontations, it’s in part because it was just me trying to do research on who Ramli was, because I couldn’t get more out of his mom than the details of Ramli’s murder. But in the end the visit with Adi’s uncle turned into this unexpected and painful meeting. Just as there are ambiguities in what Adi’s mother knew about the uncle, so too are there ambiguities in the scene with the daughter and her father. In front of his daughter, he recounts the grisly details of what he had done. And she has a moment of such horrifying and profound realization, learning what he did, and realizing that he is not the hero she always thought — or that she tried to convince herself he was. We don’t know which it is. Did she never know what her father had done, or had she simply blocked out the awful facts? Facts that would be inevitable for anybody who killed so many people with a machete. EM: I don’t know if inevitable is the right word, because I go back — again, to me the example that I think about is Gitta Sereny and Albert Speer. It’s a very similar question, actually. Albert Speer says he has no knowledge of the Holocaust. And then someone points out to him that there were these two infamous speeches given two days apart by Himmler in Posen, and he attended these speeches. JO: The Posen speeches, one of them is the one about, “Let this be the glorious page in our history that is never written—”? EM: Yes, indeed. And they both leave no mistake about what Himmler’s intentions are. Now, look, I go to lots of meetings where I hear nothing. I’m distracted. Maybe Speer is thinking about the new pantheon he’s going to build in Berlin that’s 100 times bigger than the Pantheon in Rome. I don’t know. But he was there. So, then the question becomes to what extent was this part of his mental/moral space? It may be an unanswerable question. Even when you were talking about Anwar, the cynical side of me thought, well, part of Anwar is grateful to Josh — and this is not a criticism of you or the movie; it is a criticism of Anwar — maybe he is grateful to Josh because he always wanted to be a celebrity. He always wanted to be a star and Josh made him one. JO: That’s true, too, certainly. But both things can be sure. One can have multiple and conflicting motivations. There has been the psychoanalytic countertrend, but one of the main trends of Enlightenment thinking that I think still really ensnares us is a difficulty in speaking about totally conflicting motivations and different parts of our experience, where in one moment you feel one way about something and the other moment you feel a completely opposite way and you don’t have any need to resolve — you don’t even perceive any contradiction at all. One of the things I’ve come to realize about the perpetrators and about any robust system of denial or self-deception is that you need more than one lie, more than one narrative that’s mendacious. And these two narratives are inevitably contradictory. In fact, they need to contradict each other. 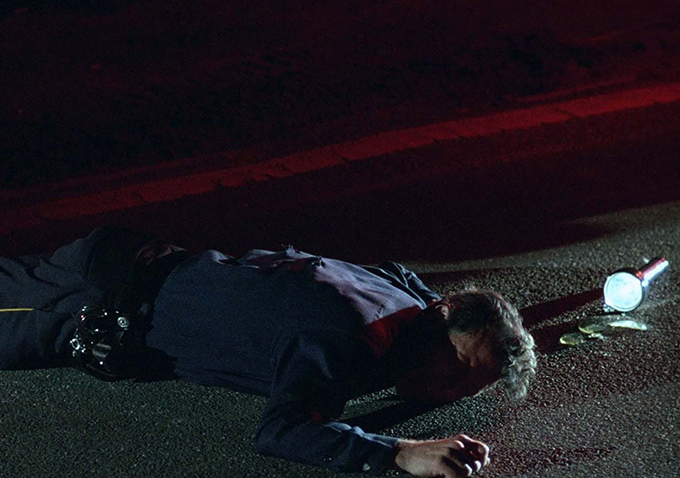 For example, Anwar, again in the uncut “Act of Killing,” you see him sort of despairingly throw himself into embracing the guilt or evil that he starts to realize he cannot escape, and so he tries to aestheticize it by imagining the terrible things he did as the deeds of a film noir antihero. That is, maybe he makes it bearable by at least making it glamorous. But you also see him trying to glorify himself as a hero in other scenes, like the waterfall scene where his victims come to him in heaven and thank him for killing them and sending them to heaven. And these are totally contradictory moral views of what happened. I think you need at least two contradictory self-narratives. Because any one of them is certainly going to fall into crisis, and before it collapses, you need to have another available in which to take refuge. And I think that’s how Speer probably works. I think that’s how we all work to some extent. The problem is that that self-deception in its complex form makes the various things that we might denounce as evil inevitable somehow. It’s the basis of it. EM: Explain that to me? JO: Let me answer with an example that I was thinking of when you were talking about Speer. In “The Look of Silence,” there is this moment where Adi is watching the NBC documentary where we learn that Goodyear was harvesting rubber tapped by slaves drawn from a death camp, and later being dispatched out to be killed by death squads. It’s kind of just mentioned in passing, but sows, at least I hope, some seeds of doubt as to what the West’s underlying motivations might have been, not just in the Cold War’s anti-Communist crusades, but really in all of our foreign policy since we overthrew the monarchy in Hawaii. That is, to what extent are the various ideological reasons we get involved with our campaigns abroad really excuses – or ruses – for some kind of corporate or economic plunder or interests abroad? “The Look of Silence” gives you pause, and hopefully leads you to wonder to what extent the ideological anti-Communism that supposedly motivated American involvement in Indonesia was, for American participants in the genocide, really just a ruse or pretext — perhaps as sincerely believed as the excuses we hear in the film from their Indonesian counterparts — to justify what ultimately was intervention on behalf of the corporate clients of the U.S. government. EM: Intervention on behalf of murder. JO: Murder on behalf of corporate clients. Which no one — least of all the businessmen in the corporations who think they’re providing vital resources for the American economy — wants to see in that way. No one can go to work in the morning if they see what they do in that way. I just read this book, “The Prize,” have you read that? You must have read that. EM: I know of it. JO: It’s a history of oil. It’s long. It takes forever to read. But there is one amazing section about Speer and what happened around the Wannsee Conference. What it basically argues is that Germany had been unable to take over the oil fields in Persia and in Iraq, and unable to take over the Soviet fields in Azerbaijan, and suddenly had no oil with which to prosecute the war. The only way they could get oil was by converting coal to oil through a process called hydrogenation, where they would actually make synthetic oil by hydrogenating coal, which is pure carbon, to make hydrocarbons — that is, oil. But producing synthetic oil is a hugely labor intensive business, and required setting up a whole new massive industrial base, largely through IG Farben, which held the patent on the most efficient method known at the time. The economy was fully mobilized to prosecute the war already, and they needed to set up very quickly a whole new labor force that could do this very quickly and very cheaply. I just saw this parallel with Goodyear while I was reading. Okay, I thought, the Nazis were anti-Semitic, and the Nazis were murderously anti-Semitic. And there are all sorts of historical origins of that anti-Semitism. It has a history. But the idea that this anti-Semitism, which has been violent and murderous, should now become totally eliminationist and involve the wholesale slaughter immediately of everybody not fit for work, while exploiting everyone else as slaves — this is a little like the anti-Communism in Indonesia, an excuse that justified the steps required to meet the most immediate and pressing need of the Third Reich in that moment. In this case, it was Speer’s responsibility to mobilize a whole new industrial base for the creation of synthetic oil from coal. My point is that no matter how anti-Semitic these people were, how do you get everybody suddenly to participate in this? Either we just accept that all Nazis are monsters and disregard what Primo Levi said about perpetrators of the Holocaust — “Monsters exist, but they are too few in number to be truly dangerous; more dangerous are the common men, the functionaries ready to believe and to act without asking questions” — or we acknowledge that here are people who were anti-Semitic, yet who evolved their anti-Semitism to a whole new level in order to justify what they in their self-interest felt they needed to do in that moment, which was to create this whole new slave industry which would allow them to continue fighting the war and not lose. EM: And if we didn’t use them as slaves, we’d have to kill them. JO: And also, there is a despairing lie, which may be what most resembles the sociopathic image of evil that we see depicted by Hollywood. It’s a kind of cynicism where you throw yourself with abandon into the depravity of it, a kind of “temporary insanity” you allow yourself to indulge in when the pressure of what you’re doing overwhelms all the other lies justifying it. EM: Is this a kind of magical realism? Are we living in a fantasy world in order to protect ourselves from the reality of what is going on around us? JO: Yes, in the sense that I’m suggesting that the most brutally real dynamics of our all-too-real world depend for their operation on our fantasies, our lies, our fictions. We couldn’t manage without them. Yet I wouldn’t use the term “magical realism,” if only because I use magical realism as a term to describe, I think, the impossible project of trying to grapple with trauma that hasn’t been acknowledged, trauma and mass violence in the context of total impunity. Like in “The Look of Silence”: the ghosts remain abroad because the dead haven’t been buried, they’ve never been acknowledged. The survivors haven’t even been allowed to openly work through their grief. So, I feel a kind of kinship with magical realism as an artistic form in which people try to grapple with loss… You see, I had this in mind when I was making “The Look of Silence.” For example, in “The Look of Silence,” there is the chorus of ghosts that we hear in the form of the crickets, the layers of crickets in the sound design, but I think almost every time we come from these haunted landscape shots where we hear the crickets, we hear a voice, often Rohani’s voice, Adi’s mother’s voice, talking to one of the ghosts as a voice over the landscape shot before we then find her in sync talking to her dead son, or sometimes talking to Adi, whom she considers her son’s replacement. The moments you called quotidian, with Adi’s family, are therefore also ethereal, spiritual, haunted even. So, I was trying to create a haunted landscape where there are ghosts everywhere, and within this landscape we meet one family that has not been allowed to grieve openly, and so is talking to these ghosts. This is essential to the sound design: We have 18 tracks of different cricket sounds, this chorus of ghosts over the landscape shots, creating these haunted landscapes. And when we cut to the family, when we make the transition from the haunted landscapes to Adi’s family, a solo cricket chirrups like this [sound], and it rises above the others and the others fade out, creating a feeling, I hope, of the family’s intimacy with one ghost, Ramli’s ghost. Amir Hasan, the death squad leader who shows off his graphic novel in the film, was the was the art and drama teacher in the school, in fact. That afternoon, Adi’s brother went home and said to his parents, Rohani and Rukun, “My teacher said they’re going to kill Ramli tonight.” And indeed, that night Ramli was killed. The next day, the family was distraught. No one left the house. There was an absolute mess and the house was physically a mess because Ramli had come home wounded. But the next day, what did Rohani have to do? She had to send her children back to school — to be taught by the people she knew had just murdered her son. How does one cope with that? I often think about this story when I remember Rohani’s inability to acknowledge, even to herself, her brother’s part in killing Ramli. Suddenly, Indonesia seems like an enormous, open-air prison for Rohani. I can imagine that, in such a situation, it might be too much for Rohani to admit to herself that the one person she’s loved and grown up with, her brother, was involved with the murder of her son. And so what does one do in such a situation? You blot it out, or hold the information at bay, or tell yourself a story.